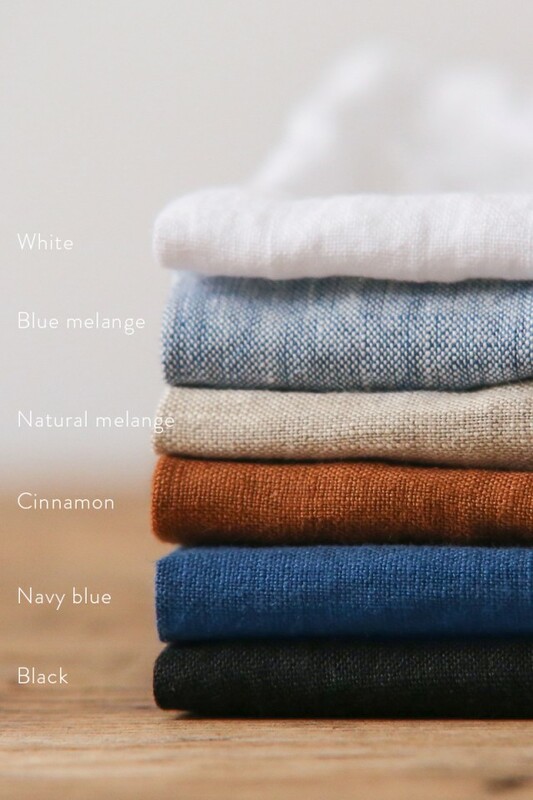 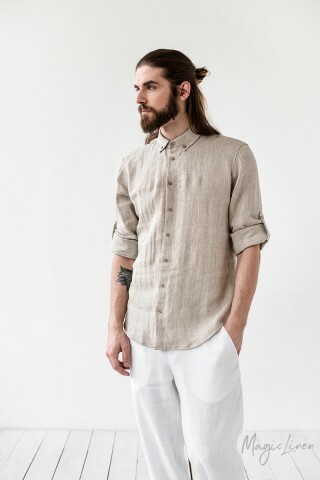 Men's linen shirt available in six different colors. 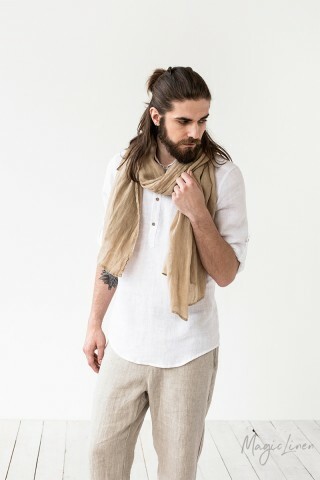 Featuring a band collar and roll-up sleeves, this linen shirt is a versatile wardrobe staple that looks just as good on its own as it does paired with a blazer or jacket. 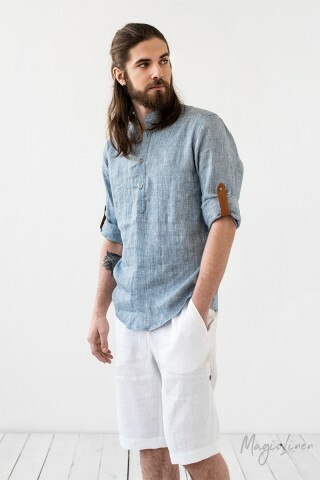 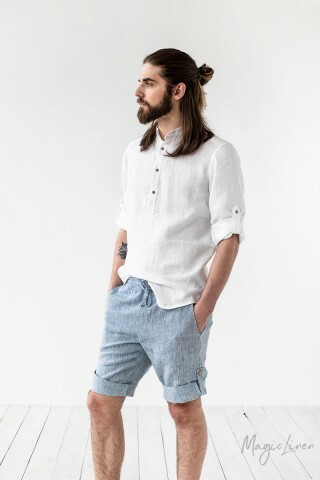 Lightweight and breathable, linen garments will become your best companions on hot summer days.